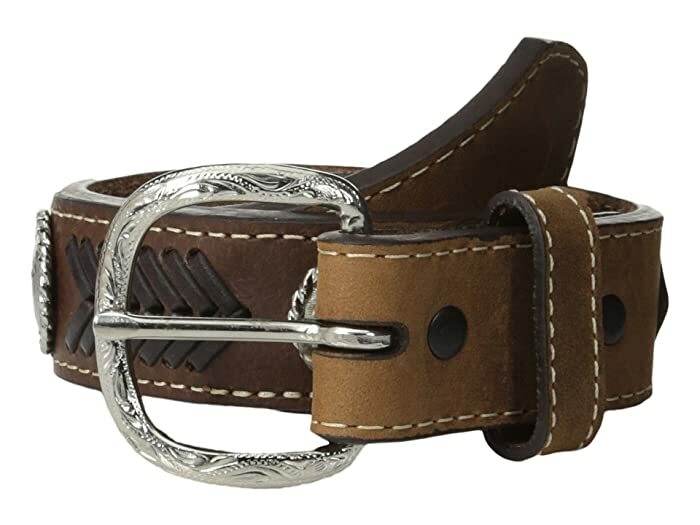 Your little cowboy will love the sure fit and style of the M&F Western® Nocona Ribbon Belt! Synthetic leather belt with whipstitching design on strap. Silver-tone buckle with intricate Western tooling. Product measurements were taken using size 18. Please note that measurements may vary by size.